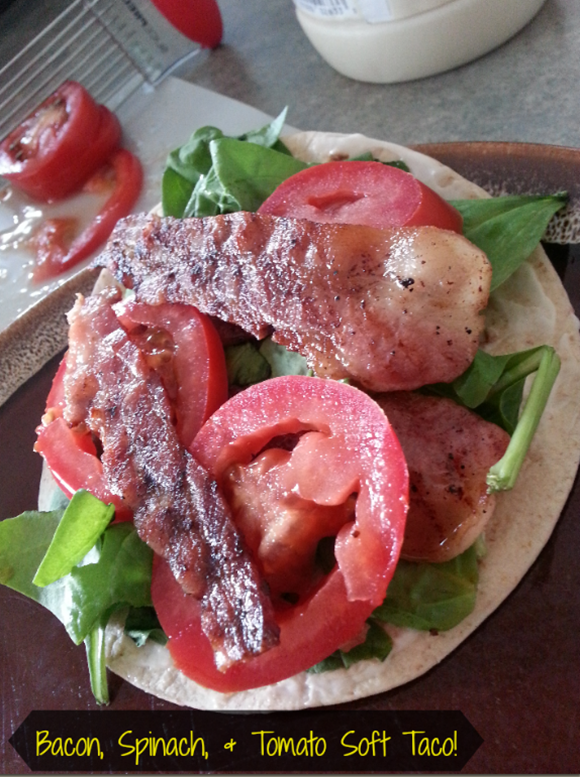 Bacon, Spinach, & Tomato Soft Taco! You are here: Home / Recipes / Lunch / Bacon, Spinach, & Tomato Soft Taco! 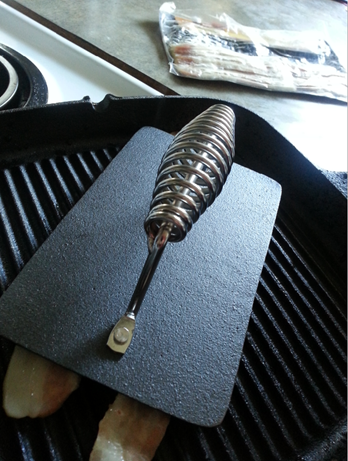 Good Cook sent me a new cast iron Bacon Press to go with my new cast iron skillet they sent me! They asked me to come up with a recipe that included bacon. Now, I am not quite as awesome as some of the others who participated in this challenge. They came up with Hot Shrimp Dip with Bacon, and even Chocolate Covered Bacon & Maple Bacon Milkshakes! Me? Well, I eat different than most people anyway, since my weightloss and health scare. So, I made a Bacon, Spinach, & Tomato Soft Taco! lol I know… sad, in comparison! But, I used my carb balance tortillas, and added some mayo, tomato, and spinach, and my nitrate-free bacon and I had a nice lunch! 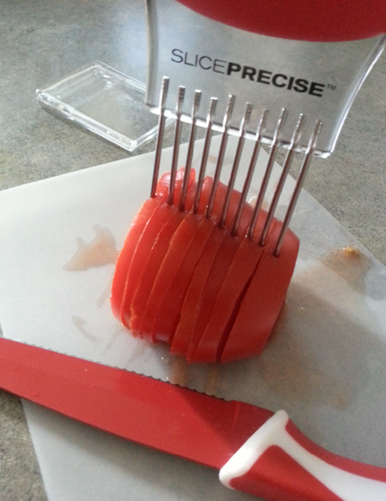 I have to tell you I love this bacon press! 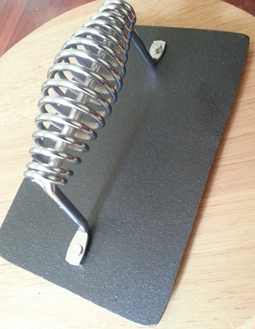 I can burn my hand on a hot kitchen surface in a heartbeat – so, the fact that this handle doesn’t get hot – I love! What is your favorite thing to make with bacon, or the craziest bacon recipe you’ve ever heard of or tried?